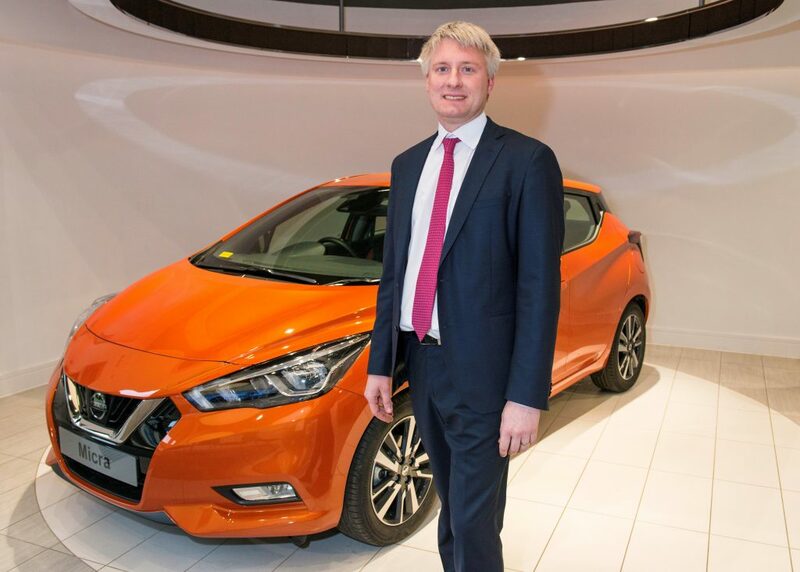 “It’s been a really good first nine months in the job here at Nissan during which we’ve had the rare opportunity to launch four products since I joined, and each product has had to be approached with different targets in mind. 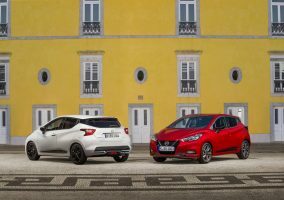 The first was all-new Micra and after a sustained effort, we are now seeing it have the impact it deserves, which I am delighted with. 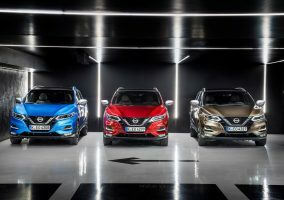 Over the summer we celebrated the launches of the all-new Qashqai and X-Trail, two models pivotal to our brand, with strong historical credentials as leaders in their respective crossover segments — credentials we have to sustain against multiple new entrants. And now we are in the midst of launching the all-new LEAF, the icon of Nissan Intelligent Mobility. Its Marketing plan began with a global reveal in October 2017 before leading into a European unveil and the start of sales of the 2.Zero limited edition. More recently, in January, we held network training and a dealer conference event, which went incredibly well. Since the LEAF arrived in dealerships, web visits, enquiries and customer orders are at an all-time high, to the point where we need to balance demand and supply already. Overall, we’re thrilled with the response. So in terms of product, it’s been a unique nine months – we’ve renewed 60% of our volume in a very short space of time, and it’s put us in a strong position to drive our performance in spite of industry headwinds, like the contracting TIV and demonization of diesel. In terms of consumer offers, we have shifted our focus. In the last year, we had lots of time-bound offers executed through VIP events, electric ones, or in association with partners such as Sky, and Bose. The constant changes made it difficult for the market to follow, and for us and our dealer network, to maximize those opportunities. We’ve changed our approach now to deliver something more consistent, with the introduction of the Nissan 3, 2, 1 Go campaign, which delivers reassurance and simplicity through a compelling ownership package: affordable financing, 3 year warranty and roadside assistance coupled with low cost to free servicing, all rolled into one. The market is volatile at the moment; providing cross carline consistency and continuity in our consumer offers is definitely the right message for the times. 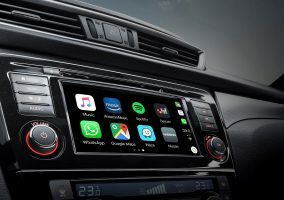 In January, the combined effect of the 3, 2, 1 Go campaign introduction, Micra and Qashqai presence on TV, and the LEAF launch have delivered all-time records in web traffic. The feedback and engagement from the dealer network has been particularly rewarding to witness. For 2018, we will continue to focus our brand messaging on Nissan’s promise of Intelligent Mobility, delivered through Intelligent Power powertrain technologies, Intelligent Driving driver-aiding technologies like ProPILOT, and Intelligent Integration through Energy Services. The new LEAF is the ultimate first chapter of this Intelligent Mobility story. In terms of partnerships, we have the bonus of English sides doing fantastically well in the UEFA Champions League – our biggest partnership – while Manchester City, our partner club, is on course for Premier League glory. But we’ve also been working with different partners targeted to each of our models. We worked with Stylist magazine to promote the Nissan Juke, and with Vice to promote new Micra, producing three digital films where Micra was driven and endorsed by Grime artists. A perfect accelerator to the launch! The uptake from these films was phenomenal – the perception shift that it provided was astounding, with our exposed audience 30% more in favour of the all new-Micra than our control audience. This proves yet again that model partnerships can continue to deliver large dividends to our product marketing challenges.